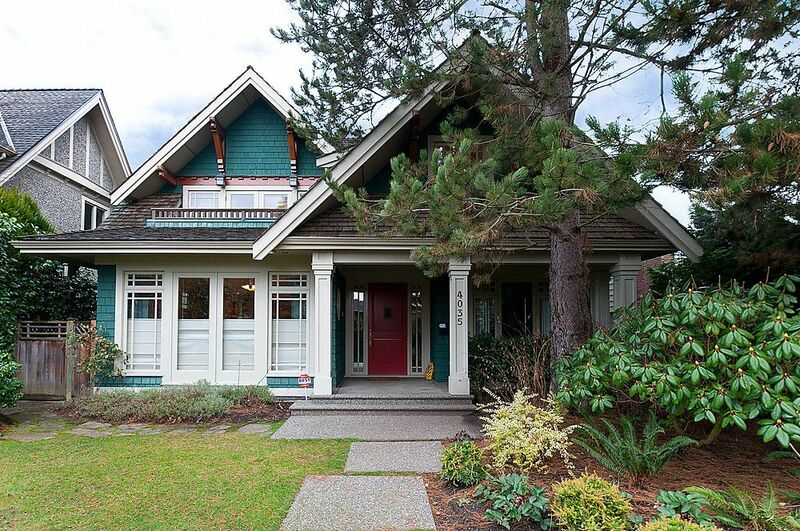 Architecturally designed and custom built by NEXUS construction, this Craftsman Heritage style home is ideally located in prime Dunbar neighbourhood. Oak hardwood floors throughout the main and upper floors with French doors off living room & family room. Beautiful quality with generous kitchen / family rooms and a guest bedroom or den with a full bath on the main floor. Three bedrooms upstairs with vaulted ceilings, walk in closet & ensuite bath with deck off master, deck off both 2nd & 3rd bedrooms as well as a roofdeck overlooking Chaldecott Park. Full finished lower level with mud room and separate entry, recreation room with French doors to patio, bedroom, bath, storage room and large crawl space. Private setting close to St. Georges school, Queen Elizabeth Annex and Dunbar shops. 51 x 130' lot with double garage.